← Perfect for Birthdays, Christmas, Unwinding, etc. 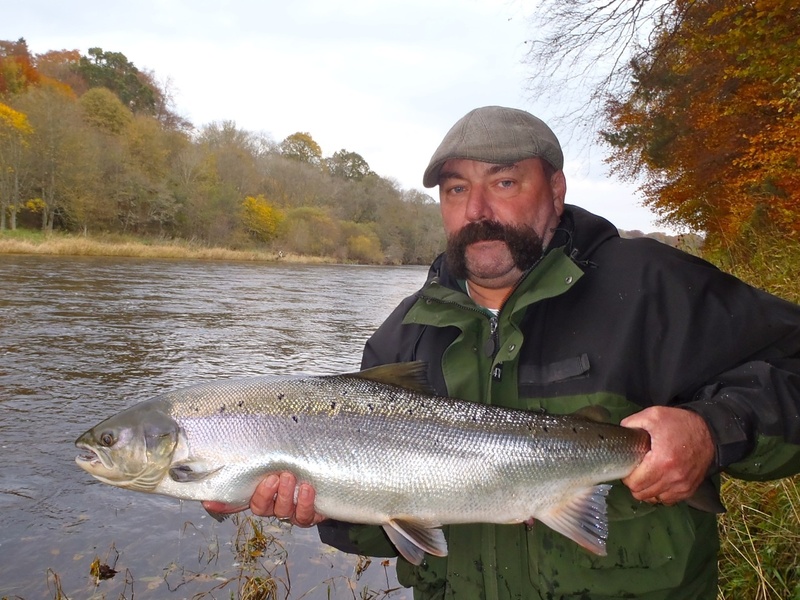 Gordon Wilson e-mailed Bill Stanworth, our website reporter – “picture attached of myself with an 18lb salmon carrying long tailed sea lice. The fish was caught on a Cascade Tube on Tuesday 8th November at Tillmouth.” Caught on the 8th November. If you have any pictures we might be able to use on the website, please send them in to:- bill@fishtweed.co.uk. They don’t necessarily have to be of fish, look at the beautiful autumn colours on show in these two. In the meantime for the latest catches please see the link in the menu above. This entry was posted in Uncategorized and tagged Boleside, FishTweed, Photographs, River Tweed, salmon, Tillmouth. Bookmark the permalink.